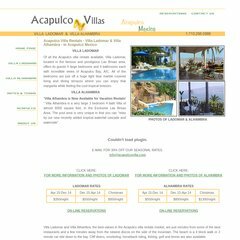 Topics: On-line Reservations, Acapulco Villas, Villa Ladomar, Villa Alhambra, and Acapulco Info. Pair Networks (Pennsylvania, Pittsburgh) is the location of the Apache/2 server. Its 2 nameservers are ns0000.ns0.com, and ns346.pair.com. Its local IP address is 216.92.162.88. PING (216.92.162.88) 56(84) bytes of data.